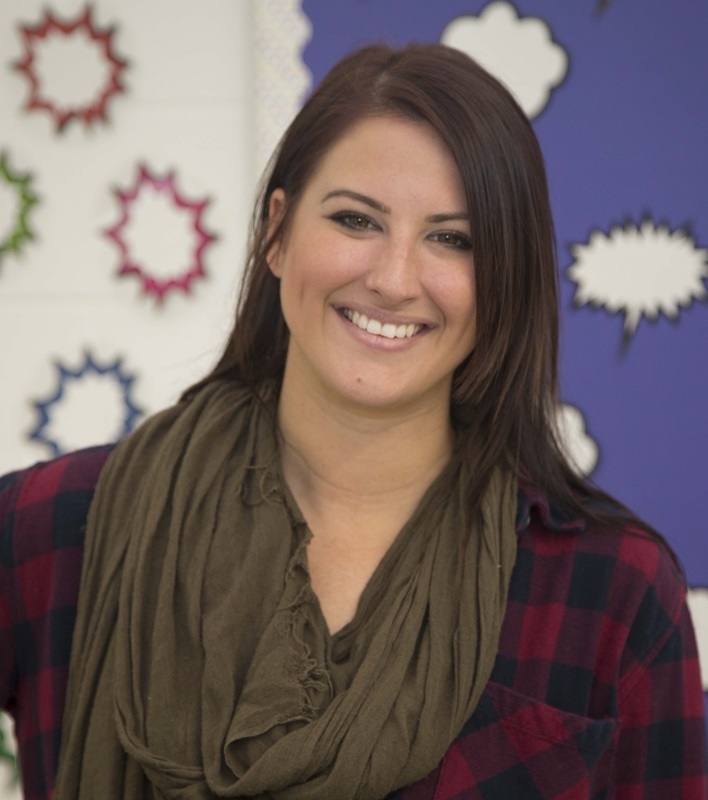 Mackenna Bush has been teaching at Pikesville High school for 4 years, following her experience at Towson University where she earned a Bachelor’s in History with a concentration in Secondary Education. She hopes to continue her own academic career by pursuing her Master’s degree here in Maryland. She currently teaches 9th grade College and Career which serves as a freshman seminar class, closely aligned with AVID. She has experience teaching multiple subjects in the Social Studies Department. She also coaches field hockey and softball for Pikesville. In her free time, she enjoys spending time with her friends and family, and exploring the outdoors with her pup! As the year quickly passes us by, the skills and tools my student’s need is becoming even more apparent. What they make up for in note-taking, reading, and writing, they lack in speech. That dreadful oral presentation, or PowerPoint, that they hate so much. It dawned on me during our last project, that my student’s had not been taught how to properly present information to the class as a whole. More times than not, I witnessed the same PowerPoint, ten times over, in the same monotone, unenthused speech. So I took matters into my own hands. “It’s time to learn how to speak!” I said on our very first day. The eye rolls began, as well as the communal reservations on what on earth I was talking about. “We are going to learn to speak effectively, and with passion, and with eye contact!” I started the unit by having them use their device to research famous speeches of our time. After watching John F. Kennedy, Martin Luther King, Jr., President Obama and many others, the engagement was suddenly there. I also set aside a day to showcase very famous Hollywood speeches. Let’s all admit that Kurt Russell’s speech to the 1980 USA Hockey team in “Miracle” can make any person cry. The student’s also were exposed to graduation speeches, protest speeches, and motivational speeches to broaden their horizons on the elements of effective speaking. After days of learning the elements of speeches, as well as scoring public speakers (President Trump included), it was time for them to create their own. The end goal is that they will speak with volume, emphasis, proper word choice, appropriate pacing, and significance of content. The students have spent two weeks researching an influential icon of their choice and must display their overall impact to their peers. Not only will they be critiqued, but their feedback will be offered to them via Dotstorming; an advanced version of a padlet, or group chat, in which they can be graded and given feedback from their peers as the speech is occurring. Let’s not forget about our students with speech anxiety. Thanks to these new devices, students are able to record themselves giving their speech in the comfort of their home and send to me to be critiqued and graded! At the beginning of this quarter I decided to embark on a journey with each one of my freshman ELCCR classes. That is approximately 120 students, of all different academic levels, strengths, weaknesses, and unique personalities. This journey was new for some, familiar to others, but overall exhausting for the entire bunch. This journey, when all was said and done, would take up to five weeks. Endless materials, cards, outlines, peer editing, re-dos, and much more. Meet: The Research Project. When introducing the criteria for this research project I could see the pain in many of their faces. When I noted that this project was to be about their beloved Baltimore, the tense, furrowed brows of many began to relax. And when I said “you get to choose your topic!” I almost heard a round of applause. I would be lying if I said just the thought of this research project didn’t stress me out. But with the use of the devices and easy access to countless sources and tutorials, this was a piece of cake. I broke the project down step by step. From choosing a topic, to then working on thesis development, to locating 10-15 sources (YES, they were able to find that many! ), to creating source cards, then note cards, to outlines, citations, rough drafts, and the list continues. And for the first time ever- no need to see the entire faculty’s eye rolls when you have to sign all your classes up for the computer lab, for the entire month. Not anymore! The use of the “Turn In’s” section on BCPS One allowed me to utilize a formative check-list of sorts. This allowed me to make sure each student was up to date with each component of the project, without falling behind. They had to show a visible sign of evidence for every aspect before they could move forward in the project. EASYBib proved useful when allowing the student’s to cite their work, and create a works-cited page in MLA format- a skill that was foreign to many. Also the BCPS calendar never allowed a student to miss a deadline, assuming they checked it. I encourage challenging yourself and your kids- to see what they can truly do when every tool is at their fingertips! During the month of December, students in my Psychology class participated in the “How the Grinch Stole Psychology” research and presentation assignment. For this assignment, students applied psychoanalysis to this fictional story. Students needed to explain the story based on a psychological theorists they were given. It is always awesome to see the students become fully engaged in a topic. When students are the teachers, they are the experts! Students liked using Office 365 for collaboration in creating presentations. Students are opting to take notes digitally during the presentations using their devices. During the month of November, my freshmen seminar students were able to work with our school’s media specialist to learn about topics in digital literacy. The first topic that students learned about was digital privacy and security. As part of the lesson, the media specialist, Mrs. Meltzer surveyed the class to determine a few factors such as the level of concern my students had regarding digital security and how many students have Google accounts. After evaluating these sources, students built a working definition for online tracking and targeting. Next they began to collect information regarding pros and cons to this occurrence. Students used Cornell Notes to record data and then hashed out their arguments in a 4-corner debate. My students were able to apply discussion skills they had been introduced to earlier in the year, making this debate an efficient task. I then infused an strategy called “annotation rotation” using an article that Mrs. Meltzer selected on privacy and security. The students had a set of specific tasks to complete using the article including skimming, circling unfamiliar terms and creating level 2 or level 3 questions. In the end, my students left with a greater understanding of the realities of online security, areas they may be vulnerable and specific ways to protect themselves. The lesson infused technology when needed and allowed the students to engage in meaningful discussions regarding a relevant topic. “I learned more about how businesses hide behind all we do online. This lesson was informative for me and I am going to be more careful with what I do online.”- Kevita Hayden grade 9. As we approach the end of the first quarter, of a new and exciting school year, I can’t help but reflect on the changes made, the hurdles we encountered, and the many obstacles we overcame in just a few short weeks. Lighthouse has transformed not only our school, but the many people- students and faculty- involved in altering the educational experience for all. As I walk through the hallways, peeking into classrooms of all contents, I notice one thing in common. Technology. I decided to dive head first into this new realm of devices. Why not? These are millennials we’re dealing with! Right? On day one with the devices, we began to get comfortable with our BCPS One accounts and all the tools it comes with. I asked the students to complete a “scavenger hunt” of sorts to get acquainted with the format and overall design of the site. They were asked to click on each class and record down several things such as the teacher’s contact information, hours of coach class, attached syllabi, and even explore their class website, if offered. Next class I decided to have each student set up their very own “E-Binder”- as I like to call it- on Microsoft OneNote, which is easily found under BCPS One’s instructional tools tab. This, is by far, the BEST innovative tool ever. Something as simple as an online notebook has made all of our “non-organized students” lives that much better. “Can’t find that paper I passed out? No worries, you wrote your response in your OneNote! Remember?” We even have established a drill section online. Each day as the students enter the class, I have a quote, question, or prompt projected onto the board. They have the routine down so well that I need not be involved in the first 10 minutes of class. They enter, open their device, go straight to their “drill section” and begin typing. It’s magical. And yes, I’m THIS excited over something as silly as drills. They also date all of their drills as their page titles in case of the need to look back on a previous prompt. A few weeks go by, and we are feeling pretty comfortable at this rate. I’ve decided to utilize the “Turn In’s” tool on BCPS One for the students to conveniently submit their work to me. This not only allows me to grade their work on the spot, but also see who has submitted the work, at what time, and also allows me to record down comments and feedback right there for the student to view. It’s very beneficial for myself, and the students.